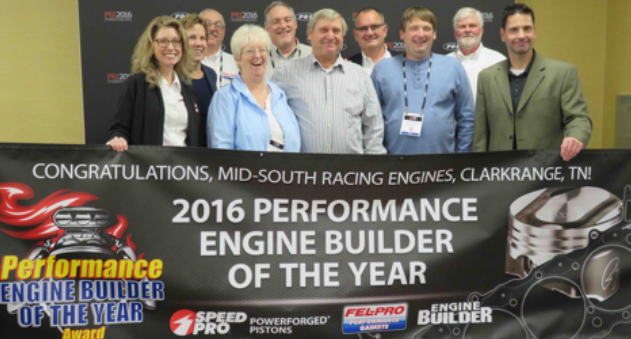 The honor of Engine Builder of the Year, sponsored by Speed-Pro, Sealed Power and Fel-Pro, was given to builders in three categories – Race, Vintage and Diesel. This was the sixth year of the competition. The 2017 winner in the Race category is Matt Dickmeyer of Dickmeyer Automotive Engineering in South Whitley, IN. The 2017 Vintage winner is John DeBates of Auto Machine, Inc. in St. Charles, IL. Rounding out the group, the 2017 winner for Diesel is Jeremy Wagler of Wagler Competition Products in Odon, IN. 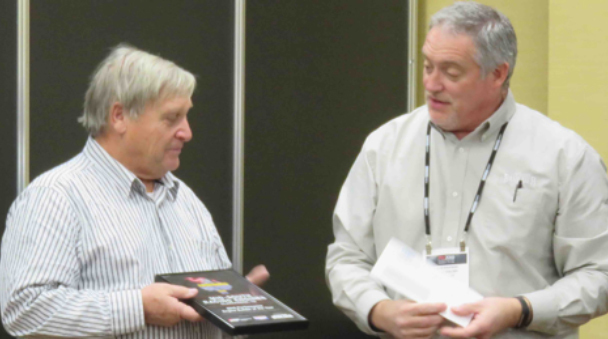 As winners, Dickmeyer, DeBates and Wagler received a recognition wall plaque as well as a prize package from Federal-Mogul Motorparts’ brands Speed-Pro POWERFORGED Pistons and Fel-Pro Performance Gaskets. Look for more in-depth features on all three 2017 Engine Builders of the Year in future issues of Engine Builder magazine. 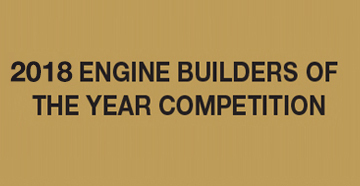 If you’re an engine builder, visit www.TopEngineBuilders.com to enter for 2018. 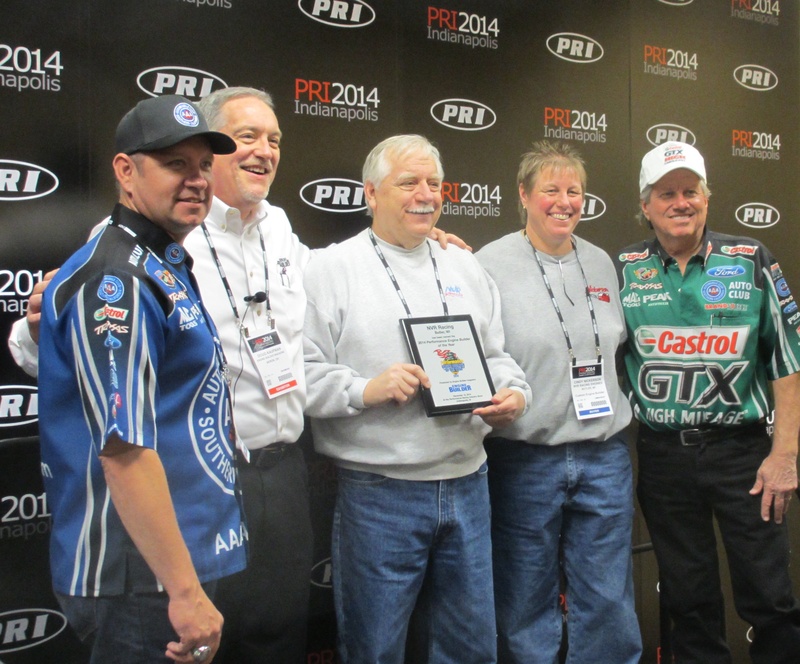 The winner of the 2016 performance category was Larry Pritchett, of Mid-South Racing Engines in Clarkrange, TN. 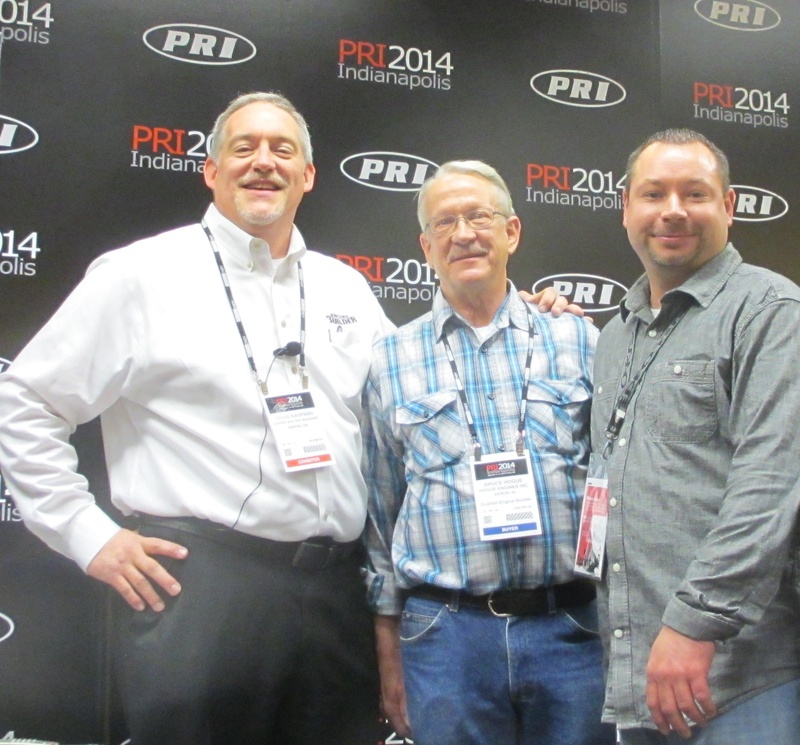 Pritchett was presented the award by Engine Builder magazine publisher/editor Doug Kaufman at a press conference Friday, December 8, 2016 at the Performance Racing Industry Show (PRI) in Indianapolis. Pritchett started his career as a drag racer, racing in Stock Eliminator, Super Stock and Comp Eliminator series. Along the way, he also built winning race engines leading to 30 race wins and 32 records in NHRA competition. His need for speed and his appetite to always go faster developed at an early age. 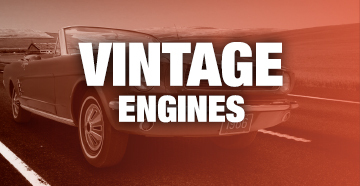 Most of the engines that Pritchett has done over the years have been specialty type engines. In 1990, he started racing Competition Eliminator and to this day he still does a lot of engines in Comp, Super Stock, Super Gas and series like those. 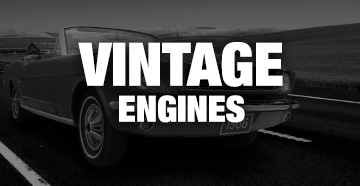 Cleveland’s Victory Engines’ owner Ray Banyas has again claimed a victory by being named the 2016 Vintage Engine Builder of the Year. 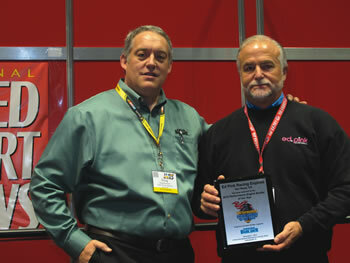 In 1995, Banyas was given the opportunity to go from long-time employee to owner of the Cleveland-based engine shop. He decided to go for it and changed the shop’s name to Victory Engines. 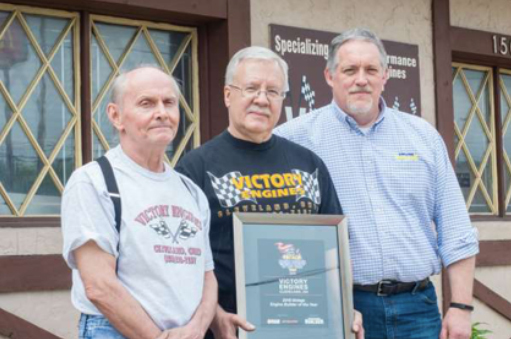 Over the years, Victory Engines has served racers and enthusiasts ranging from Stock Car, Super Modified and Sprint Car ranks to the quarter-mile drag racer, both local and national. 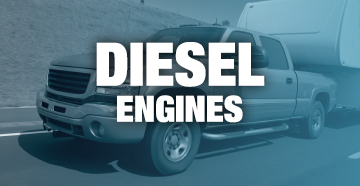 Jason and Charlie Miller of Miller’s Machine Shop in Lincoln University, PA was named the 2016 Diesel Engine Builder of the Year. Starting with go karts and motorcycles in his father’s machine shop at age 10, Charlie Miller has steadily built a diesel engine building and machining operation to rival the best-known performance engine builders in the country. 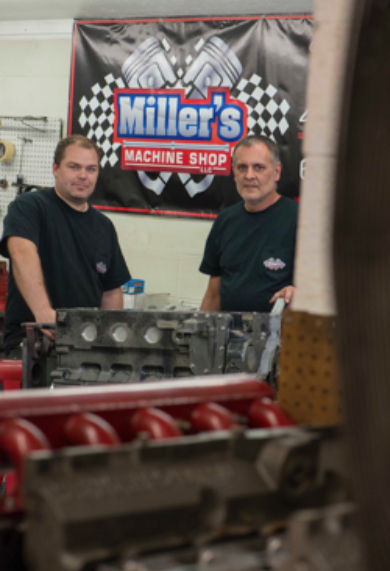 With his son, Jason, by his side and a commitment to innovation, Miller’s Machine Shop, in Lincoln University, PA, offers its customers race-winning performance, unmatched customer attention and the industry’s best brand name products at a price that’s hard to beat. 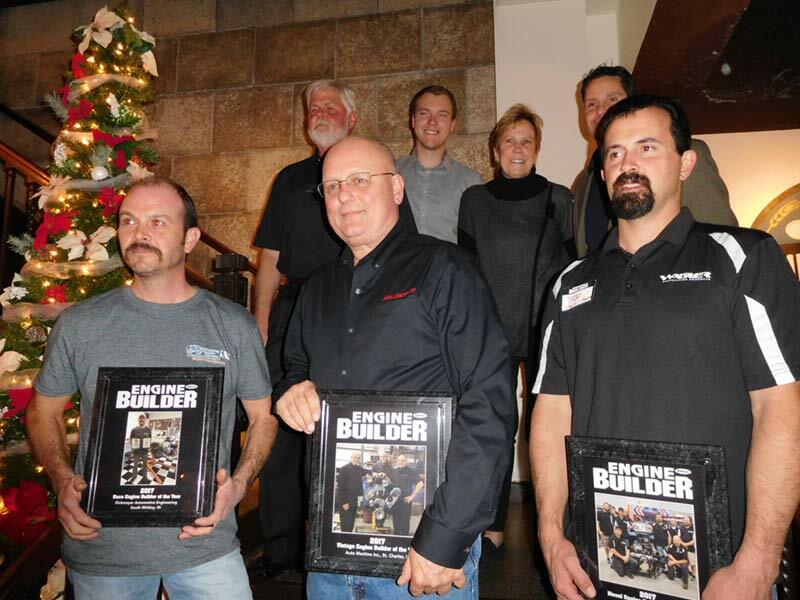 Ray Field, owner of Dougans Racing Engines, in Riverside, California was named the 2015 Engine Builder of the Year. 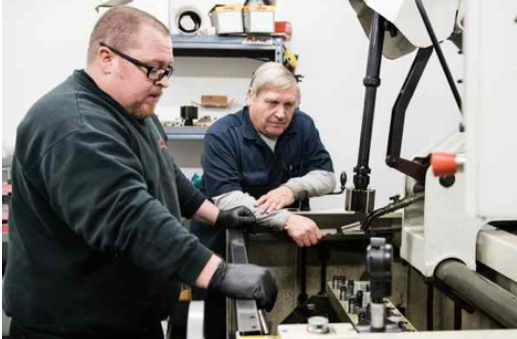 Ray joined Dougans in 1980, and has worked as a mechanic, machinist, engine builder, tuner, dyno operator – and now owner. 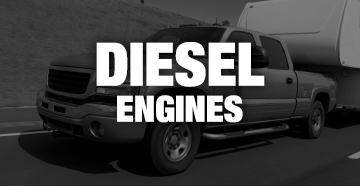 The business specializes in engines for off-road applications such as trophy trucks, Class 8, pro trucks, prerunners, short-course racing, Pro 2, and Pro 4. Matt Dickmeyer of Dickmeyer Automotive in South Whitley, IN. 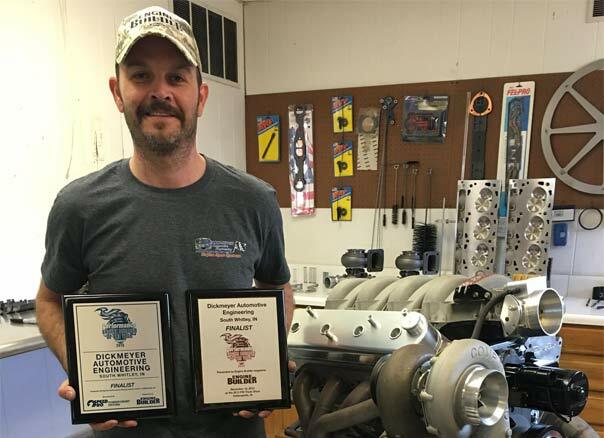 Mike Yackey of Greeley Automotive Machine in Greeley, CO.
Tom Nickerson, owner of NVR Racing, in Butler, WI, was named the 2014 Performance Engine Builder of the Year, sponsored by Speed-Pro POWERFORGED Pistons and Engine Builder magazine. 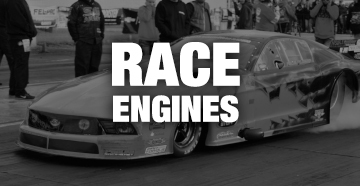 NVR is a race-oriented engine shop that builds mostly circle track and drag vehicle engines. 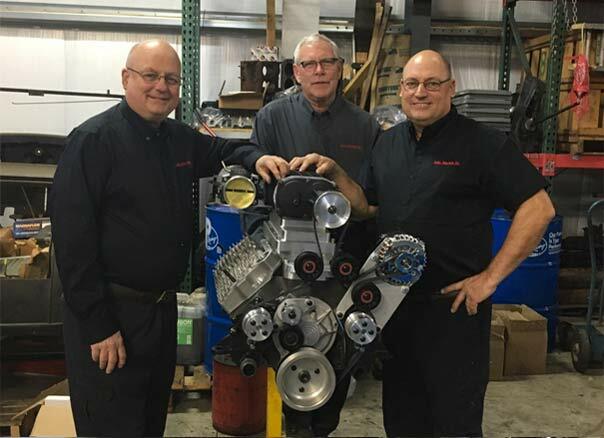 With more than 40 years in the industry, Nickerson works with his wife Cindy handling mostly Chevrolet builds, as well as other nameplate engines, with the occasional Ferrari job. Read more about NVR Racing here. Kroyer Racing Engines (www.kroyerracingengines.com ) builds racing engine packages for a wide variety of racing series and classes. 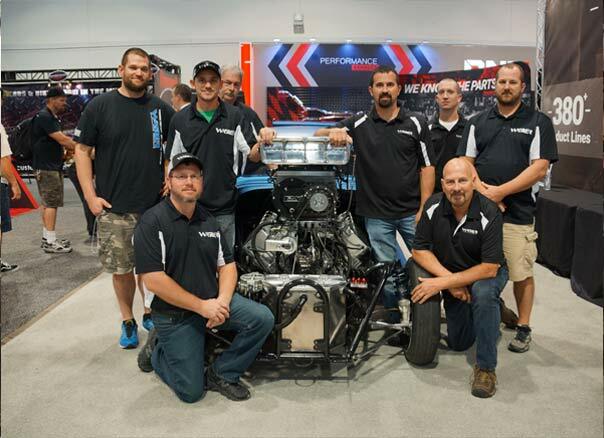 The performance shop was picked as this year’s recipient because of its quality of creativity and innovation, training and education, merchandising and promotion, professional standards and conduct, appearance, solid business management, community involvement, business growth, achievement and victories. 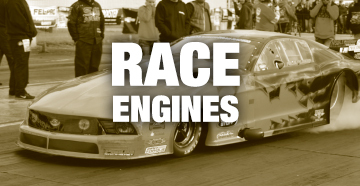 Read more about Kroyer Racing Engines here. 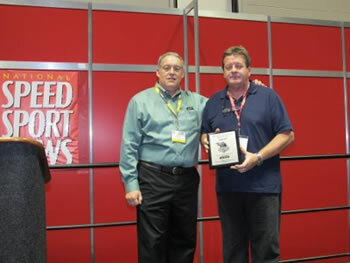 Frank Honsowetz, General Manager of Ed Pink Racing Engines in Van Nuys, CA accepted the award on behalf of company owner Thomas Malloy and company founder and active technical consultant Ed Pink. 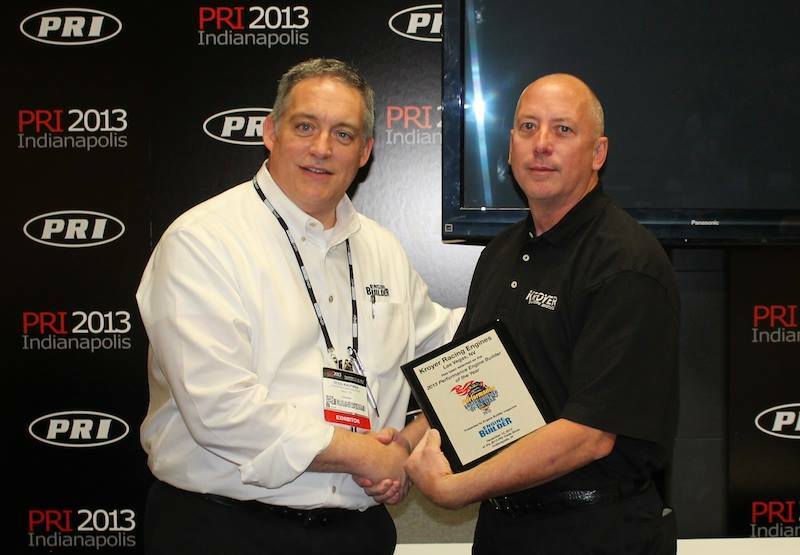 Accepting the second place award was Jeff Taylor, from Jeff Taylor Performance in Sellersburg, IN. 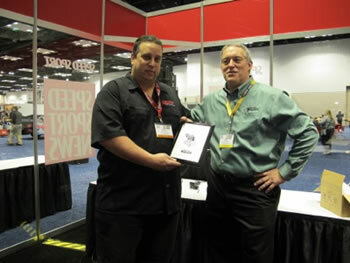 Accepting the third place award was Brad Lagman, from QMP Racing Engines, Chatsworth, CA.